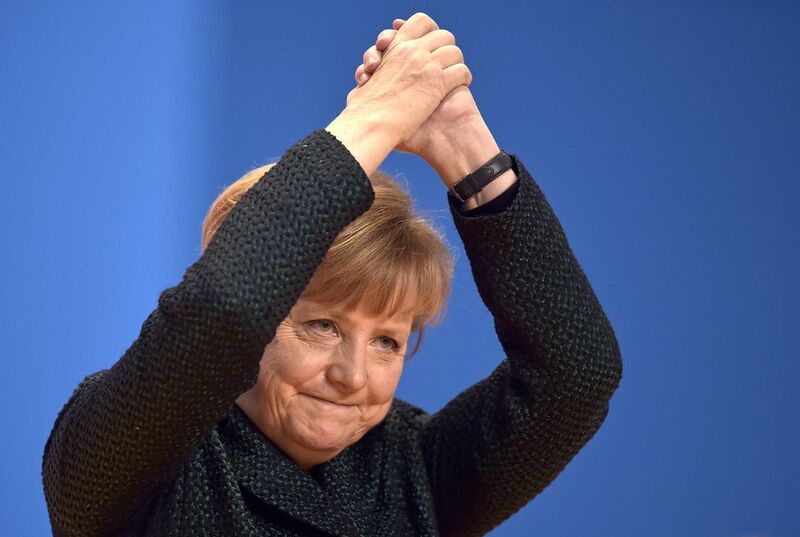 German Chancellor Angela Merkel has been named Time's Person of the Year. She was praised by the magazine for her leadership on everything from Syrian refugees to the Greek debt crisis. Time also cited Merkel's strong response to "Vladimir Putin's creeping theft of Ukraine." On its cover, it called her "Chancellor of the Free World." Putin is president of Russia. "Not once or twice but three times there has been reason to wonder this year whether Europe could continue to exist, not culturally or geographically but as a historic experiment in ambitious statecraft," Time editor Nancy Gibbs wrote. "You can agree with her or not. But she is not taking the easy road. Leaders are tested only when people don't want to follow. 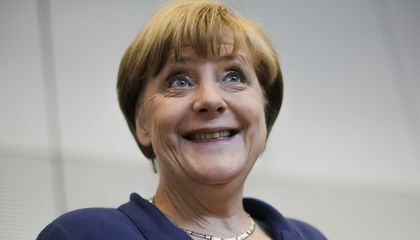 For asking more of her country than most politicians would dare, for standing firm against tyranny as well as expedience and for providing steadfast moral leadership in a world where it is in short supply, Angela Merkel is TIME's Person of the Year." Merkel is 61. She is just the fourth woman since 1927 to be chosen. She is the first female selected since opposition leader Corazon C. Aquino of the Philippines. That was in 1986. Merkel is the first German selected since Willy Brandt. He was also the West German chancellor. He was named in 1970. Time chose him for "seeking to bring about a fresh relationship between East and West" during the Cold War. In 1999, Time picked the German-born Albert Einstein as Person of the Century. "I'm sure the chancellor will regard this as an encouragement for her political work, for a good future for Germany as well as for Europe," Merkel's spokesman, Steffen Seibert, said. There were seven other finalists for 2015. They included Donald Trump, the Black Lives Matter protest movement and Uber's CEO, Travis Kalanick. Why have more men earned this distinction than women? More men have earned this distinction than women because men dominated the job cooperation at the time this award was first starting. Now, more women are being nominated for this title. 6)This story is unique because not many women have been chosen as Time's person of the year.I think Angela Merkel deserves this award. I think that it might have been cool for women to be named Times Person of the Year because she might have been honored for something that she wanted peace in the world. I think that the women who is honored for Chancellor of the World because I think that the women that might have been honored for her in a magazine. I think that the reason why the women had been honored in a magazine named for Chancellor of the World for the refugees in Syria. more men have won probably because women dont usually deal with this kind of dangerous subjects. she also won probably because of her strong figure and strong voice. she is an inspiring women and isn't scared to fight fore what she believes in. This is a great accomplishment for her and women in general. She is only the fourth woman to be chosen since 1927, which was 88 years ago. More men have earned the Time's Person of the Year award then women and this years winner is Angela Merkel. She is the fourth women to win after 88 years, why have only few women won. The reason for mostly only men winning is because of stereotypical people voting and thinking that a man could do a job better than a woman. I found it interesting that only four women has ever won this award. I take German, and I think it is great. You guys should take it next year, and plus mrs. Wanta is extremely nice! More men have earned the award Times Person of The Year because of the people that think men can do things better than women. All over the world people are making the stereotype of boys are stronger than women, boys can do more than women etc. Even though many officials are trying to make pay and other things the same it will never be truly equal. So, men have earned this award more than women because of these people who take up most of the world that men have changed the world much more than women have. my opinion on this article is that it is astounding that so few of women have won this award.